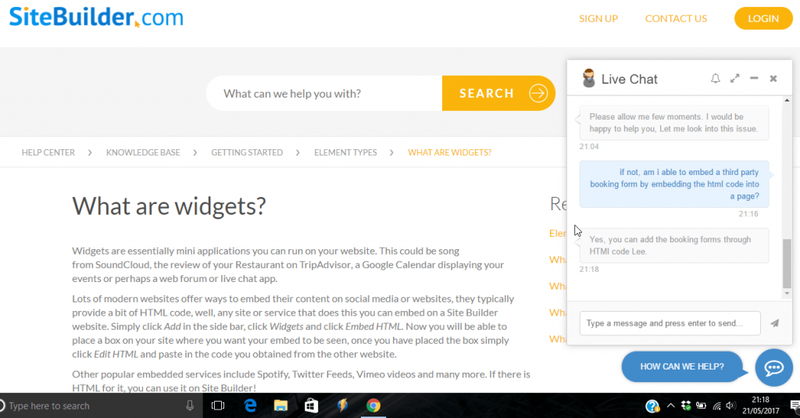 I’ve really been looking forward to getting stuck in and writing this SiteBuilder.com review. You see, I don’t think I’ve ever seen such mixed reviews of a website builder than with these guys. Half of the reviews out there seem to praise it, whilst the other half well, they say just the opposite. I think it’s about time I tested the platform for myself and draw my own conclusions to help you decide whether it’s the right choice for you. 1) Easy to use even for complete novices. 2) Large selections of great looking, customizable templates that puts some of their competitors to shame. 3) Your site will look good on mobiles. 1) The support and training platform leaves a lot to be desired. 2) Very few add-on features available meaning you’ll only be able to create a fairly basic website. 3) If you wish to sell products, you’ll have to choose the most expensive plan. 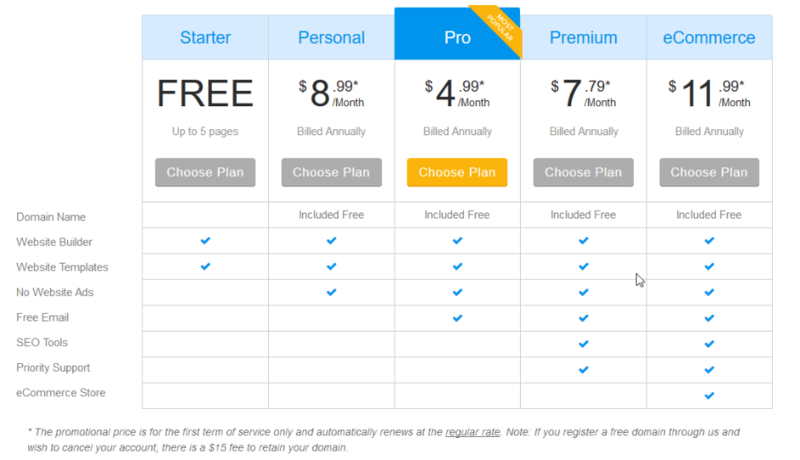 Premium Plans: Ranging from $4.99 to $11.99 per month for the first year when billed annually. 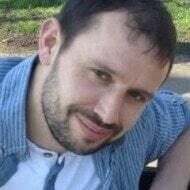 Lee’s Recommendation: Great option if you’re looking for a beginner friendly platform to create a beautiful, yet fairly basic site to promote your business or showcase your work online. If you’re looking to start a full blown online store or think you’ll need a lot of help and support along the way, then SiteBuilder may not be your best option. 1. Is Site Builder Easy To Use? 4. Is Sitebuilder Search Engine Friendly? 7. How Much Does SiteBuilder Cost? After spending around 15 minutes fumbling my way around the website editor, pushing buttons to see what they do, I felt confident enough to begin creating my test site. I can say with confidence that a lot of time and thought has obviously gone into creating such user-friendly platform that’s almost perfect for novices and people with experience alike. With just a couple of clicks, you can add certain elements to your sites such as text, video, social icons, maps, and buttons etc. Once on your page, you can pick up and move these elements to wherever takes your fancy in true drag and drop style. Sidenote: At this point in time, you can only create or manage your website from a desktop computer or laptop. 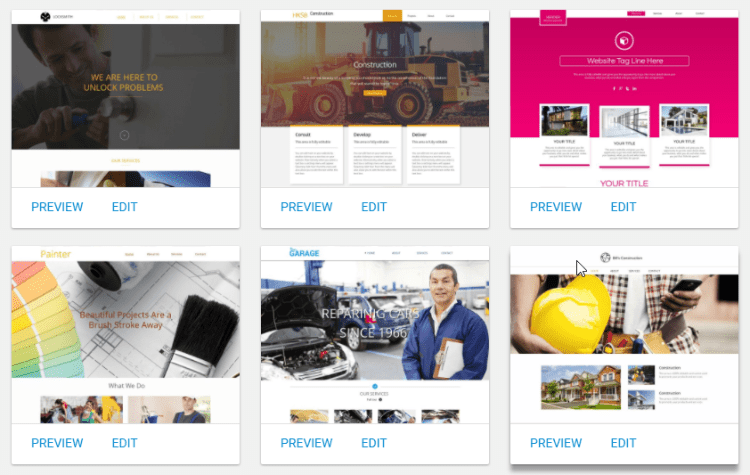 There are other website builders out there such as Weebly that are just as easy to use, yet when it comes to the range of templates, they don’t quite measure up to SiteBuilder. I was excited (and relieved) to see a wide range of great looking, customizable templates to choose from. Well over 1000 actually which is huge in comparison to most of their competitors. 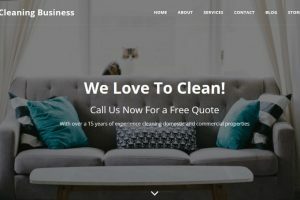 Believe it or not, I couldn’t find a template related to cleaning services so I chose the “Locksmith” theme and swapped out the text and images to really make it my own. You’ll also find that all of the templates are mobile responsive which means they’ll look great and function properly when people visit from a smartphone or tablet. This is essential these days. The only downside that I’ve found with the templates is once you’ve chosen one, you’re stuck with it unless you’re prepared to start over. Other website builders such as Wix allow you to create a simple site and then offer a range of add-on features that can be bolted onto your site such as online booking forms and email marketing tools. I have to say, this was the first time I felt underwhelmed with SiteBuilder and to be honest, a little disappointed. Let me just say, if you going in with the intention of creating an online store as the main purpose of your site, SiteBuilder may not be your best option. If however, you decide to begin selling a few physical or digital products down the road, then you’ll find the basics required to do so. You’ll be able to add a shopping cart to your site, upload product files and accept PayPal as a form of payment. eCommerce tools are only available on the most expensive plan (more about that in the pricing section). Adding a blog to your existing site couldn’t be much simpler and can be done in just a couple of clicks. A blog is ideal for adding helpful content to your site and keeping your customers up to date with company or industry news. Usually, you’ll face a choice of either using your own images or purchasing them from a stock photography website. The price can vary quite dramatically depending on which site you use and you’ll be charged on a cost per image or pay monthly subscription which can really add up. None of that here though! Sitebuilder have thought of this and offer users (even free users) a whole host of images that can be added to your site for free. If you run a business where customers visit your premises, you can quickly add a Google map to your website with a location marker to show your customers exactly where you’re located. Building a successful online presence is more than just a website so once people have found you, why not allow them to connect with you on your Facebook or Twitter pages by adding social media icons to your site horizontally, vertically or in a grid format. One of my main concerns when reviewing a website building platform is whether or not they allow you to make the necessary changes to help Google and Bing understand your website which can lead to higher rankings where more people can find you. Naming your pages to something relevant that people may be searching for. Renaming your URL’s (web address) for example yoursite.com/house-cleaning-florida/. Adding a description of your page. 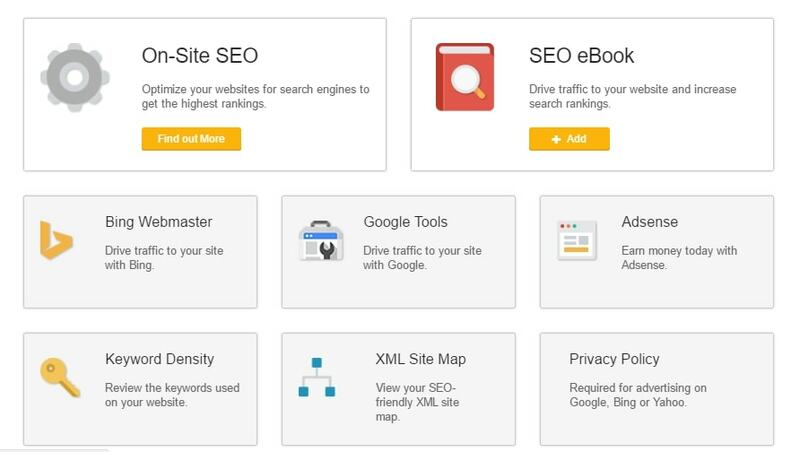 Create a sitemap to guide Google around your site. I’m pleased to say that SiteBuilder ticks all of these boxes. They even have a couple of handy guides available with premium plans that’ll help you understand the process. Any good website builder worth its salt will host your website for free to take away the hassle and stress of finding a third party provider. This is part of the appeal of choosing an all-in-one solution in the first place right? Sitebuilder not only offers free hosting, but also a free domain name (web address) with all premium plans. Elsewhere, these are charged for separately in most cases and can cost anything from $10 – $20 per year. 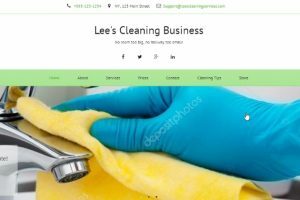 Note: With the free plan you’ll get a subdomain which looks something like mine http://lees-cleaning-services.myfreesites.net/. If that wasn’t enough, with certain plans, they’ll even throw in a swanky email address of your choice to match your domain name. Again, this is an option a lot of the competition doesn’t offer and you’re forced to pay extra for. One concern I do have is that there doesn’t appear to be an option to add an SSL certificate. If you don’t know what that is, it’s the little green padlock you see in your address bar that tells you a particular website is safe to visit. Not a huge issue at the moment but I believe it could be going forward. Just something to keep in mind. If you decide to create your website with Sitebuilder, it’s important to understand that you will not be able to export it to another platform should you feel the need. You’ll be “locked-in” which fairly common with do-it-yourself website builders of this type. I’ve heard people say that the pricing structure isn’t very clear but I have to disagree. Especially for someone who’s just starting out who doesn’t want to be baffled with a lot of technical jargon making it difficult to decide which plan is the best fit. Instead, it’s relatively straight forward which I believe makes it easier to make a decision. The prices shown are when billed annually and in USD. You can view pricing in your own currency here. I always advise people to start off with a free plan and test the waters before committing. Whilst the Pro plan looks like the most attractive offer, it should be noted that you won’t be given priority support with that package or have access to the SEO tools. To get them, you’ll have to choose the Premium plan. If you intend to sell products from your site, you’ll be left with no choice but to go with the eCommerce package. I should point out that Sitebuilder also offers a 14-day money back guarantee and renews at a higher rate after the first 12 months. Even though SiteBuilder prides itself on simplicity, chances are you’ll need some help and support along the way. When you do, your first port of call will probably be the knowledge base where you’ll find plenty of fairly basic, written tutorials covering a wide range of topics to help set up or design your site. If you need additional help from a real person, you can contact the support team via their email ticket system or live chat feature (a phone number is also available for billing inquiries). This for me is the main area which lets SiteBuilder down. I decided to contact support on live chat to ask a question as to whether I could add an online booking form to my site. The chat operator disappeared for almost 15 minutes and came back with a very generic sounding answer. He also stated at the bottom of the message that there was no guarantee that what he said would even work! I felt as if the person on the other end of the chat was either very new (which is fine), or simply reading from a script and not able to answer any questions that they hadn’t got laid in front of them (not fine). It’s not just me either. The internet is awash with user reviews complaining about the support, or more to the point the lack of it. This for me, really lets down what could be a fantastic all round platform. After completing my review, I think I know why there are so many mixed reviews out there. 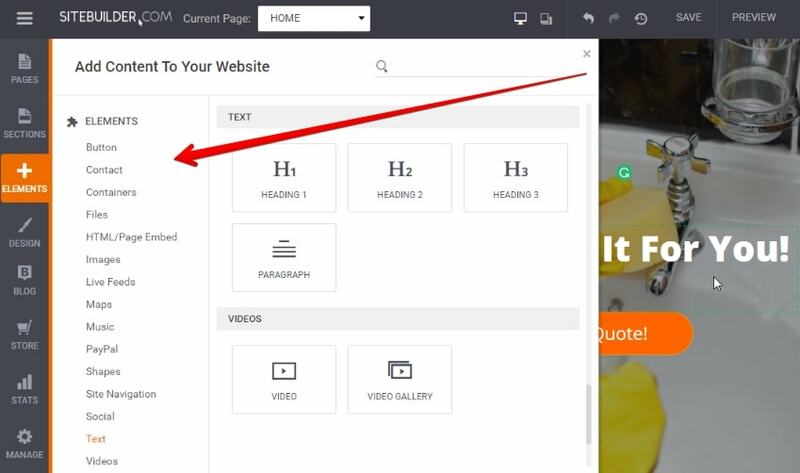 If you’re looking to create a basic, great looking website to promote your business or showcase your work online, then SiteBuilder offers you one of the easiest ways that I’ve come across to help you achieve it. That is if you’re the type of person who’s willing to get stuck in and figure things out on your own by trial and error. However, if you think you’ll need a lot of support and detailed step-by-step tutorials to help you accomplish your goals, then SiteBuilder may not be right for you at this time. Whichever camp you fall into, you don’t have anything to lose by signing up for a free account (with no pressure to upgrade) and see how you get on before deciding to commit. Ready To Get Started? Click here to start creating your website for free! Wow what a thorough review on Sitebuilder. Thanks for the great review. There are 1000’s of online program claiming they can help you make money online but at the end of the day they are not. Because of the increased number of online scams it is always advisable to do our own research before buying any product. Here comes the great help from your review making my job easy I will come back to your website to learn more information. Thanks again!